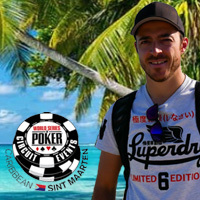 Our five players – who all won their way to TKPT St Maarten in online satellite tournaments at Intertops Poker or Juicy Stakes Poker – arrived yesterday. The Main Event starts tonight. Last night they had a chance to check out their competition by playing in a smaller warm-up tournament – and by having a little fun at a local cantina! 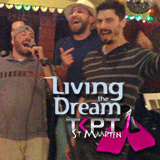 Check back for our report on Day 1 at TKPT St Maarten when we’ll introduce you to the prettiest member of our team. Elena Stover arrived late last night, hot off her second place finish at the Borgata Million last week.